6:26pm, Tue: Keadilan Supreme Council’s decision not to participate in the proposed Malay unity talks shows that there is no more basis to practise racial politics, said the party’s Youth chief Mohamad Ezam Mohd Nor. “This rejection brings a new era to the meaning of political struggles in Malaysia. The politics of race has lost all basis,” he told reporters at Keadilan headquarters after chairing a Youth meeting today. 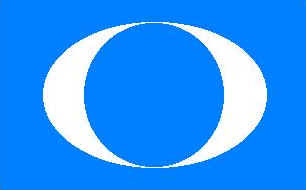 “Keadilan has rejected the premise of Malay disunity,” he said, adding that there is only disunity within Umno itself. 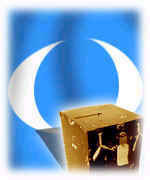 Last week, Umno has proposed a tripartite talks on Malay unity involving Umno, PAS and Keadilan. Yesterday, Keadilan resolved not to attend the talks. When asked by reporters if Keadilan’s rejection of the Malay unity talks went against PAS’ acceptance of the talks, Ezam said “no”. Ezam also announced that Keadilan Youth will go on a road-show covering the major cities nationwide to promote the party’s concept of “new politics” which transcends all racial barriers. “We reject the politics of race and ethnic polarisation. We will take three months to visit the major cities in each state to explain this ‘new politics’ called Agenda Politik Baru,” he said. Ezam, however, did not specify when the road-show would commence, adding that he would discuss the plans with the other Barisan Alternatif component parties, namely PAS, PRM and DAP. “There is nothing wrong with debates but we only debate with credible people. Umno Youth does not have this credibility,” he said. Ezam also said that Keadilan Youth will hold mass prayers at the mosque of the Kuala Lumpur International Airport on Jan 27. After the prayers, a police report would be lodged against Prime Minister Dr Mahathir Mohamad, Finance Minister Daim Zainuddin and former Malaysia Airlines (MAS) chairman Tajudin Ramli for corruption and abuse of power, he added.